Ballasalla based Netcetera has continued to expand its operational services for the Island's business community with the opening of its new Business Recovery Centre, planB, providing over 100 fully functional workplace recovery spaces. With Business Continuity and Disaster Recovery being a main operational requirement for many businesses, Netcetera's new modern facility can help minimise the risk associated with not having premises access. Netcetera's new onsite centre at the The Dataport can now provide an all round solution for what many businesses view as being the ultimate worst case scenario. Peter Skelton Netcetera's CEO stated, "The simple truth about Business Continuity planning is that an organisation should be able to continue its operations through a disruption or have plans to recover key services to the extent required by its stakeholders, ensuring minimal damage to reputation or market position whilst satisfying legal and regulatory obligations." 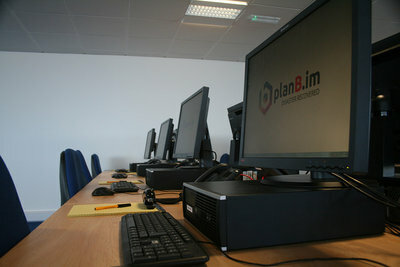 With many of the world's leading finance and e-Gaming companies being based on the Isle of Man the new facility has been a welcome addition for the local business community, providing much needed, cost effective desk space for those businesses that require a recovery and continuity solution to meet the regulatory framework they work within. 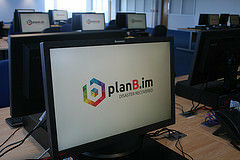 The company fully acknowledges the costs involved in having a recovery plan fit for purpose and this has been factored into the various pricing options available from planB giving companies a choice on hot desks, plus dedicated and shared seating arrangements. 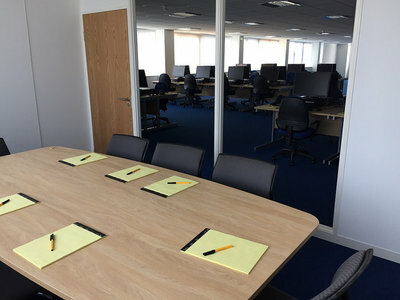 The new Business Recovery Centre is due to be officially opened by the Island's Chief Minister on the 3rd December when the company will also be holding an open evening for the Island's business community. Festive hospitality will be provided on the night and there will also be a guest speaker to give a presentation on Mindfulness within the modern day workplace. Plus there will be optional tours available of the Datacentre, the only Carbon Zero Datacentre on the Island.The event is Free and spaces can be reserved by calling planB on 829000.